Read our profile of the “lepidopterist neurobiologist” who helped author the new study. 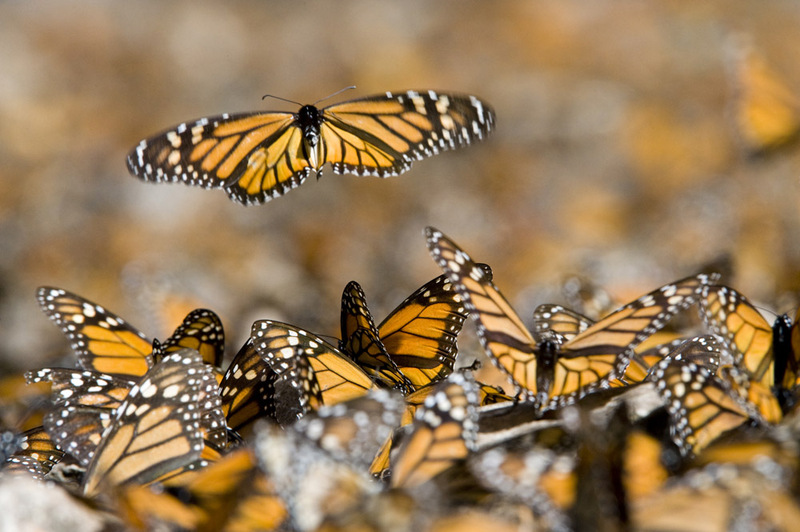 Beautiful monarch butterflies migrate up to 4,000 kilometers (2,485 miles)—from the U.S. and Canada to Mexico—every year. 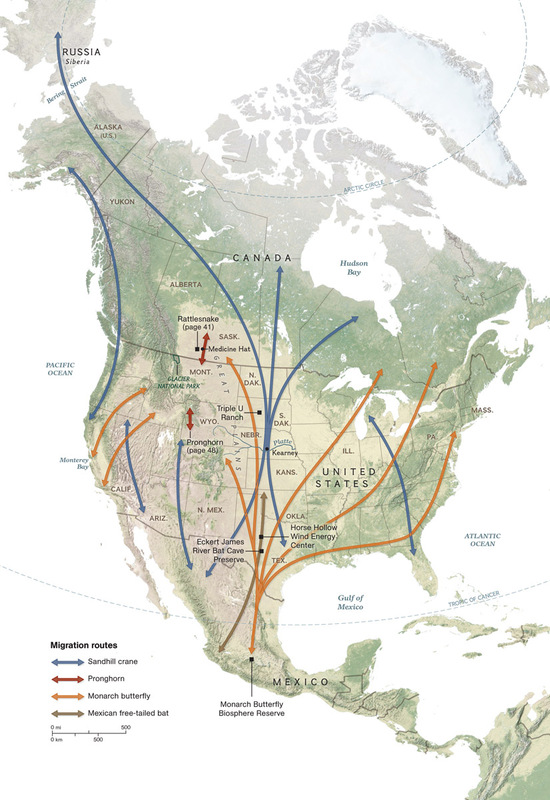 Monarchs are the only insect known to make this type of journey, a migration comparable to North American animals such as pronghorns, bats, and cranes. According to the fascinating new study, monarch butterflies make their great migrations using what’s called a time-compensated sun compass. What two pieces of data contribute to a time-compensated sun compass? solar azimuth, or the horizontal position of the sun in the sky. The sun travels east to west, and a southern-migrating butterfly needs to be able to determine which is which at any given moment. internal clock. An animal’s circadian rhythms recur despite any changes in the environment. What body parts do monarchs use to determine the position of the sun in the sky? What body part do monarchs use to access their circadian clock? How do signals from the butterfly’s eyes and antennae work together to help monarchs navigate? If monarch migration depends on the visible position of the sun, how do the butterflies navigate on overcast days? Still a mystery! Researchers, including our friend Dr. Reppert, think the insects might have a sort of magnetic compass in their brains. Nat Geo: Meet Dr. Steven Reppert, who’s picking the brains of butterflies!